A Portland lawyer says a state agency's refusal to release legislative concepts is politically motivated by the tight gubernatorial race. Portland business lawyer Greg Chaimov is suing the state to force the release of proposed legislative concepts that have routinely been released as a public record in years past. Chaimov, who provides proposed legislative concepts to his business clients, claimed state officials are improperly denying release of the records based on a new state practice of claiming attorney-client privilege. He suggested that the new practice might be politically motivated by the gubernatorial election. Gov. Kate Brown is in a close race with state Rep. Knute Buehler of Bend, GOP nominee for governor, that will be decided Nov. 6. 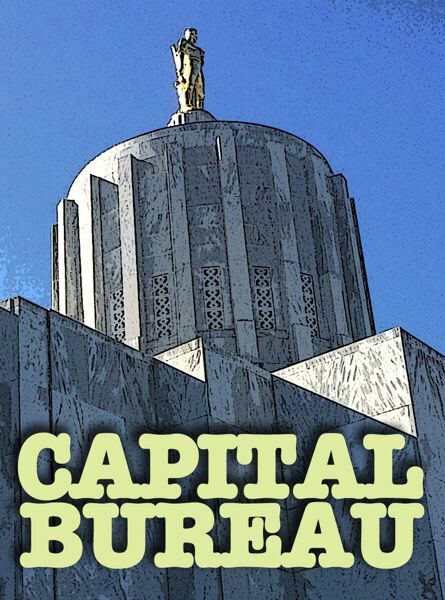 The Oregon Department of Administrative Services in May notified agencies that the legislative concept forms — a preliminary laundry list of legislation agencies might propose during legtislative sessions — would be temporarily exempt from disclosure until legislative counsel submits bill drafts to Brown's office for final approval. The deadline for submission is Nov. 30, "well after the November general election," according to the six-page lawsuit filed Sept. 5 in Marion County Circuit Court. Three officials with the Independent Party of Oregon announced Monday that they are considering joining Chaimov's lawsuit. The IPO nominee Patrick Starnes of Brownsville also is seeking election to the governor's office. 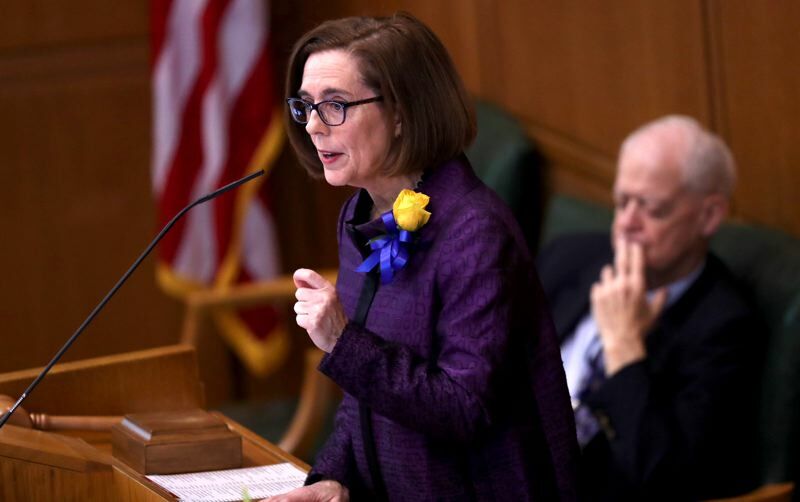 "We are concerned that this dramatic change in policy is primarily a political decision to prevent public disclosure of legislative concepts that could be damaging to the governor's reelection effort," said Rob Harris, co-chairman of the Independent Party. "Especially during an election, there is a strong public interest in disclosure of the administration's legislative priorities. We believe that good government practice should trump political considerations and call on the governor to reverse this decision." Chris Pair, the governor's communications director, said that the advisory on release of the forms "was in no way influenced by the election." "The assertion does not prohibit state agencies from discussing the legislative ideas they are proposing or releasing the public records, such as emails, associated with them," he said. "This doesn't necessarily represent a change in practice (We have instructed agencies similarly in the past). As with any public records request, we treat them individually and make decisions about potential exemptions on a case-by-case basis. In this case, the decision was made by DAS in coordination with the governor's office – it is not attributable to any one person. The form requires agency officials to identify a problem or issue and propose policy to address or resolve it. The governor then approves or disapproves the proposals. The concepts that are approved go to the office of legislative counsel for drafting into proposed bills. This year's form includes a paragraph that states: "Although it is expected that agencies will have discussed legislative concept ideas with stakeholders, agencies are directed to treat this document as confidential and privileged and, accordingly, not to share the text of this form outside of state government before legislation is drafted and finalized." Chaimov was the chief legislative counsel for the Oregon Legislature from 1998 to 2004. In that capacity, he oversaw the writing of proposed bills into legal language. Since 2010, Chaimov, now an attorney with the firm Davis Wright Tremaine, has routinely received copies of the records. He provides copies of the forms to business clients and other interested parties, according to the lawsuit. In 2016, Chaimov requested the legislative concepts from DAS on Oct. 28. Matt Shelby, former DAS spokesman, denied the request, citing attorney-client privilege. He fulfilled the request Jan. 30 after the concepts had been approved by the governor, according to an email from Shelby to other state communications employees. Chaimov requested the forms from the governor's office July 11. The office responded by saying it did not have the records. He then submitted a public records request to DAS July 19, and that agency denied the request, citing a state exemption based on attorney-client privilege. He appealed the denial to Oregon Attorney General Ellen Rosenblum's office, which denied his appeal Aug. 28. Craig said the advisory to state agencies to withhold the forms was based on attorney-client privilege. "This decision was recently upheld by the attorney general when she denied a petition for disclosure of these records," Craig wrote in an email to the Pamplin/EO Capital Bureau Monday. In an opinion provided with the denial, Frederick Boss, deputy attorney general, wrote that attorney-client privilege requires three elements: expressing the intent that the information remain confidential, the client is in the process of seeking professional legal advice and the communication is between a client and their lawyer. Chaimov asserted in the lawsuit that attorney-client privilege is nonexistent between the Office of Legislative Counsel and the governor's office/DAS. He cited an Oregon statute that prohibits legislative counsel from representing any state agency other than the legislative branch. The attorney general is the exclusive legal counsel for the executive department of state government, Chaimov said.